Sabina Hotel is a friendly, comfortable hotel. Perfect for families, couples and young people wanting a relaxing holiday. 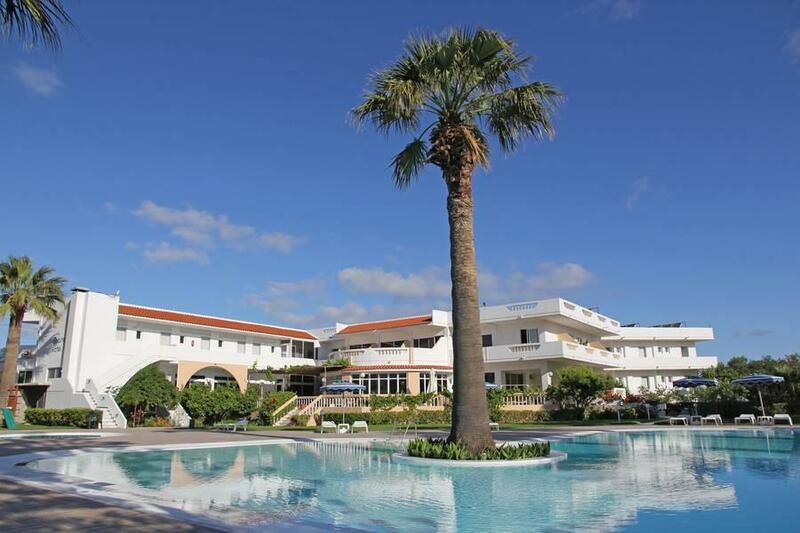 Facilities on offer are a restaurant with buffet breakfast and dinner service, the main hotel bar, a pool snack bar, an outdoor swimming pool, childrens pool, small playground, a games room and big screen satellite TV in the main bar. Guest services include 24hr reception, safe deposit box rental, car hire, internet corner, wireless internet access in public areas, laundry service, mini-market and parking. All 69 guest rooms are equipped with ensuite bathroom, TV, direct dial telephone, hairdryer and a balcony or terrace. Air conditioning is also available for a local charge. Rooms can accommodate 2-4 people. 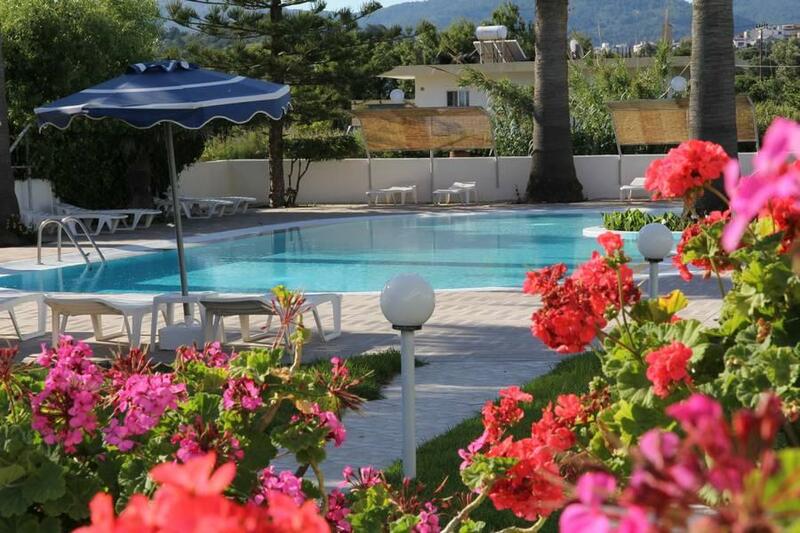 The hotel is situated just 100m from the beach and about 1km from the village centre. The famous Butterflies Valley and the ancient city of Kamiros are just a few kilometres away from the hotel and the city of Rhodes is around 21km away. Rhodes Airport is approx 5km away.